Social media platforms particularly Instagram and Twitter were gripped by this year’s most popular trend #10YearChallenge. This prompted celebrities and ordinary users to share their photos from 2009 and 2019, showing the before and after change in their looks. The #10YearChallenge went viral with a lightning speed as this received more than a million posts on Instagram alone. On Twitter too, there was a deluge of sorts with celebrities and famous football clubs choosing to take interest in the challenge. 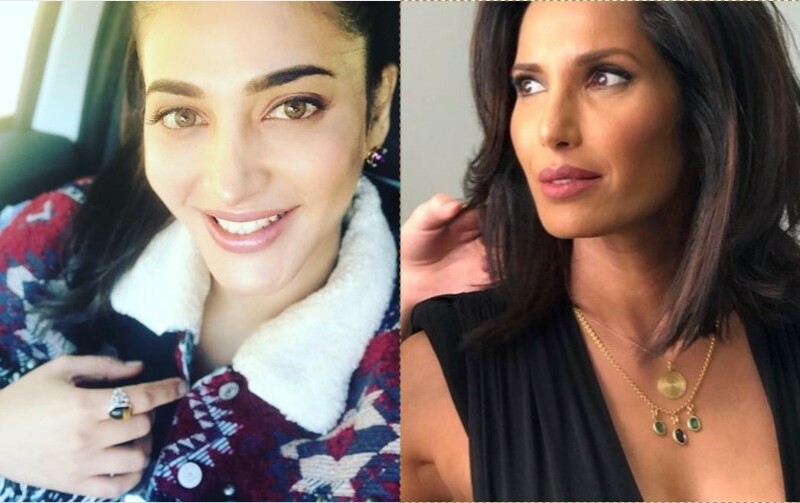 However, two photos that stood out in the challenge were that of model-actress Padma Lakshmi and actress Shruti Haasan. The photo posted by Padma on Instagram was more of #20YearChallenge in which she shared one photo of her sipping coconut water in in a printed sari in 1999 while the other photo next to that was from 2019, showing Padma in a red bikini. Padma’s fans were blown away by how she has managed to maintain her fitness as many struggled to differentiate between the ‘before’ and ‘after’ photos, posted by her. Another striking photos of Manchester United star Paul Pogba. Manchester United posted two photos of Pogba, one taken as a young striker in 2009 and another in 2019, from its official Twitter handle. Aside from celebrities wowing their fans with the challenge, there were quirky posts too. Ah, the egg-streme power of social media. You’ve heard of the egg that broke Kylie Jenner’s record, now take a look at this!